The Web and mobile devices have become an integral part of our daily lives. 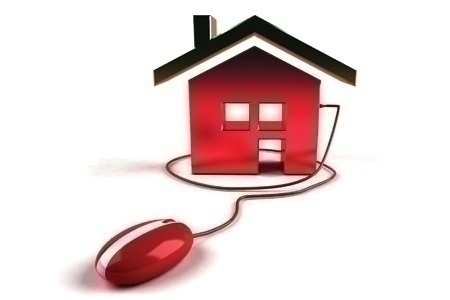 For those looking to purchase a home, the Internet has turned into a main part of the process. With the Internet home search here to stay—and access to just about any and all the information a prospective buyer needs to find the perfect home—listing quality is a crucial piece of the equation that can’t be ignored. As the amount of information accessible to prospective buyers on the Internet continues to grow, MLSs, portals and the rest of the industry can’t afford to overlook the fact that some of the data appearing online is both inaccurate and outdated. So why is the listing information inaccurate? Typically caused by manual entry, stale listings exist when there’s not a direct MLS or broker feed in place, thereby forcing agents to use manual entry services to help their clients gain maximum exposure online. Manual entry isn’t regulated by the MLS, so while a listing is updated in the MLS, agents sometimes forget to update their manual entry listings once the status or price has changed. Zillow is addressing these issues head-on with its industry programs, providing brokerages and MLSs the opportunity to establish direct, near-real-time listing information feeds that improve the timeliness and accuracy of listing information available to consumers. These efforts have been well received, with hundreds of brokerages around the country having joined Zillow Pro for Brokers since its launch in July 2012. When it comes to combating inaccurate information, there’s no one-size-fits-all approach among industry practitioners. “Data sharing has always been a big issue as most people don’t know exactly where the data goes,” says Lehmkuhl, who points to the ability to remain competitive as one of the driving forces behind the brokerage’s decision to go directly to Zillow, taking advantage of their broker program. Some consider removing consumer portals entirely to get rid of inaccurate information; however, the repercussions of something this drastic will undoubtedly be felt far and wide throughout the industry. From angry sellers who may not understand why their home isn’t appearing on Zillow, to the smaller brokerages that rely on syndication to compete, to the increased use of manual entry services, some agents are going as far as switching MLSs in order to preserve their exposure on portals. Portals like Zillow are here to stay, and their efforts to work with the industry are increasingly apparent. Zillow’s programs target data accuracy, but they also provide something in return to broker and MLS partners. With Zillow Pro for Brokers, listing agents get increased visibility and brokerages get greater exposure for their brand. With the Zillow Partnership Platform, MLSs get detailed performance metrics on the views and contact rates for listings to help members measure success. Zillow is striving to deliver on its end for what Lehmkuhl and his industry peers call for—everyone working together.